The pier is in a prime location where the Orwell and Stour estuaries meet. It has iconic visual impact and it has been a popular icon for many years due to its location on the edge of Shotley Gate. People have commented in the pub and at community events over the last 15 years as it was seen to decline, becoming derelict and unused. The pier was put up for auction 3 years ago, and didn’t reach its reserve price. From then on, the local chat was about how to bring it back into use, and gradually people started asking whether it could become a community owned asset, with practical people offering to paint it, repair it etc. Councillor Derek Davis was elected in 2015 and was so struck by people’s enthusiasm that he asked Babergh District Council to consider how it could help turn around the situation. Babergh District Council had a major survey done by a specialist company, who advised that the fundamental structure is sound and needs about £300,000 to repair and renovate it. However, in straitened times, the local authority could not justify spending its limited resources on the pier. A public meeting was then organised by Councillor Davis to find out if there were enough people to get involved in a community purchase of some kind. This meeting was held at the Bristol Arms in June 2016, and more than 30 people attended, including the publican Shane Rolin. The response from local people at the prospect of bringing it into community ownership has been tremendous. The main conclusion at that initial meeting was that people wanted the ownership to be local, and that they didn’t want a third party such as the local authority or a charity to take it on. The meeting ended with names and email addresses being taken, and promises to investigate what to do next by the local authority representatives who attended to support the prospect of action happening. Various people got together to discuss possibilities and by autumn, people began to feel a group could get things done. 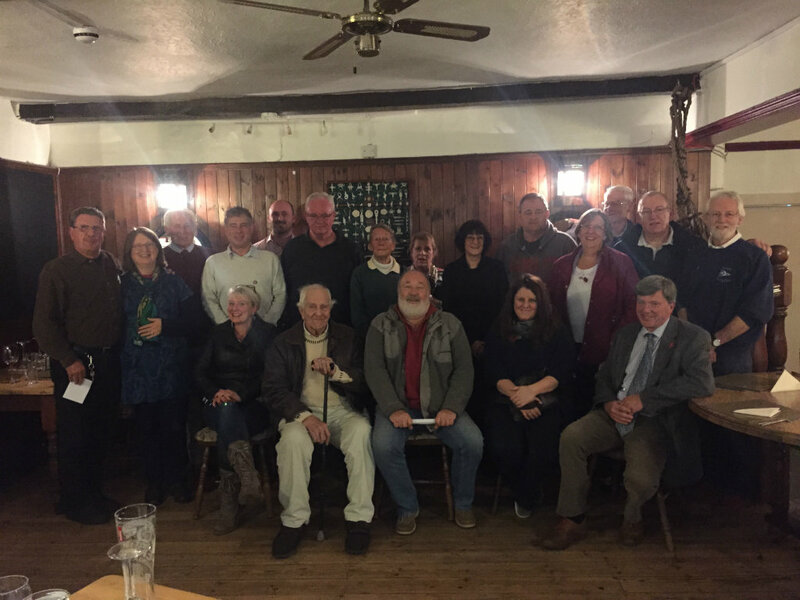 Chatting in the pub informally proved to be the glue that has advanced the group considerably, with many ideas being shared, and the history of the pier being given to newer members of the group ! 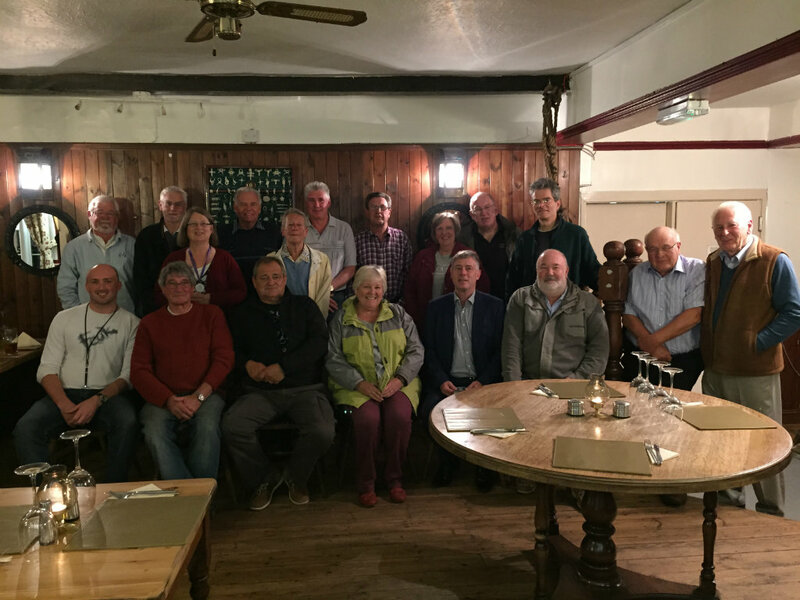 The next formal meeting was arranged for 10/10/16, and the steering group which then formally convened has 18 members, all of whom live on the Shotley Peninsula. Sally Chicken agreed to become the Chairman, and Shane Rolin agreed to be Company Secretary. The Facebook Group which started at the same time as the steering group gained 65 members in the first week, two thirds of whom live on the Peninsula. The other third have either historic links to the Pier, were brought up in the area or previously employed locally. The East Anglian Daily Times did a lovely piece on the formation of the group, and a short notice photo meant the group mingled under the pier and then convened at the Bristol Arms to warm up over a drink. The group wish to involve as many of the local community as possible, as agreed at the second public meeting on 10/11/16. The overall aim of the group was agreed to be to support culture, heritage and the environment of the Shotley Peninsula, with the Pier being the first and biggest project. This was an interesting shift in focus, as people present had experience of groups being stifled in their future goals by drawing their parameters too tightly, and several people spoke about how this had caused issues with their other groups, causing gradual decline by the inability to take on new elements or adapt to new needs. The group also agreed to add leisure and tourism to the charitable aims, not just serving the local residents, with a very clearly articulated desire to celebrate local heritage. By November, the Facebook group membership reached 100, and discussions there had commenced, with younger and more diverse participation than the steering group on its own, which was welcomed by the group. Grants were identified and BDC offered to support the group by providing 2 link officers to help the group, Kate Lowe as Comunities officer, and Chris Knock as external funding officer. Both roles have proved vital in helping the group progress, as Kate has been able to extend the networking, and support the planning, and Chris has worked tirelessly to get grant applications written and submitted. 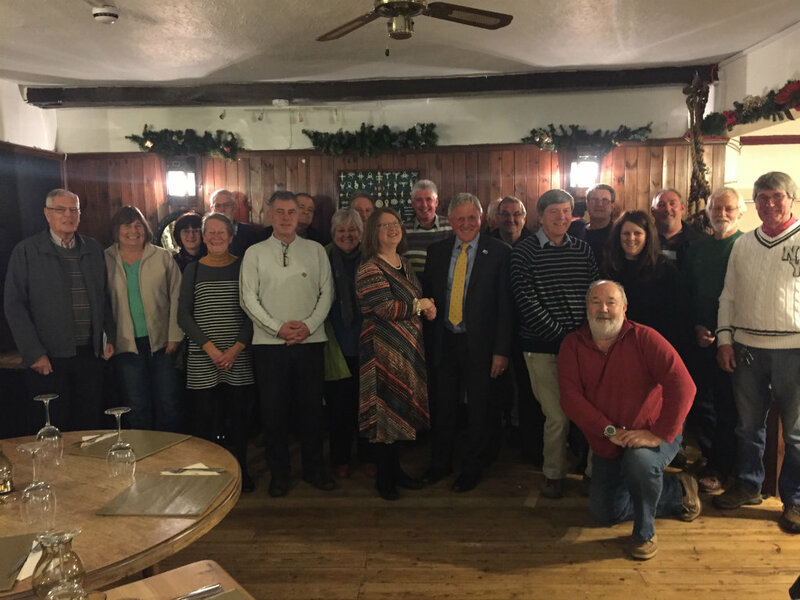 At the November meeting, the group received presentations about the legal forms available, and agreed to form a community benefit society, with charitable aims. People were asked to volunteer for various roles. After the meeting, the application to register as a CCBS were prepared and submitted to the FCA. Informal meetings continued, and visits to Holbrook Academy and Shotley Primary School were arranged, and various people were contacted. Several publicity articles appeared in local press and parish magazines, which created further interest in the peninsula and Ipswich. The Facebook group proved to be helpful, with people sharing stories, photos and links, all while the website was being prepared. In December, BBC Look East arrived to film the pier and interviewed a few of the group about their ambitions, while the cameraman shook his head at the state of the pier, the group enthusiastically talked about heritage, the community and the art.